International Conscientious Objectors day takes place annually on 15 May. A conscientious objector is an “individual who has claimed the right to refuse to perform military service” on the grounds of freedom of thought, conscience, or religion. In some countries, conscientious objectors are assigned to an alternative civilian service as a substitute for conscription or military service. Some conscientious objectors consider themselves pacifist, non-interventionist, non-resistant, non-aggressionist, or antimilitarist. On March 8, 1995 the United Nations Commission on Human Rights resolution 1995/83 stated that “persons performing military service should not be excluded from the right to have conscientious objections to military service.”This was re-affirmed in 1998, when resolution 1998/77 recognized that “persons performing military service may develop conscientious objections.”A number of organizations around the world celebrate the principle on May 15 as International Conscientious Objectors Day. The term has also been extended to objecting to working for the military–industrial complex due to a crisis of conscience. Many conscientious objectors have been executed, imprisoned, or otherwise penalized when their beliefs led to actions conflicting with their society’s legal system or government. The legal definition and status of conscientious objection has varied over the years and from nation to nation. Religious beliefs were a starting point in many nations for legally granting conscientious objector status. The proclamation was ratified during the General Assembly on 10 December 1948 by a vote of 48 in favour, 0 against, with 8 abstentions. In 1974, the Assistant Secretary-General of the United Nations, Sean MacBride said, in his Nobel Lecture, “To the rights enshrined in the Universal Declaration of Human Rights one more might, with relevance, be added. It is ‘ The Right to Refuse to Kill. '”In 1976, the United Nations treaty the International Covenant on Civil and Political Rights entered into force. It was based on the Universal Declaration of Human Rights, and was originally created in 1966. Nations that have signed this treaty are bound by it. Its Article 18 begins: “Everyone shall have the right to freedom of thought, conscience and religion. The reasons for refusing to perform military service are varied. Many conscientious objectors cite religious reasons. Unitarian Universalists object to war in their sixth principle “The goal of world community with peace, liberty and justice for all”. Members of the Historic Peace Churches such as Quakers, Mennonites, Amish, Old Order Mennonite, Conservative Mennonites and Church of the Brethren object to war from the conviction that Christian life is incompatible with military action, because Jesus enjoins his followers to love their enemies and to refuse violence. Since the American Civil War, Seventh-day Adventists have been known as non-combatants, and have done work in hospitals or to give medical care rather than combat roles, and the church has upheld the non-combative position. The following is said of the Seventh-day Adventists (SDA) by a neutral, non-SDA organization: “Many Seventh-day Adventists refuse to enter the army as combatants, but participate as medics, ambulance drivers, etc. During World War II in Germany, many SDA conscientious objectors were sent to concentration camps or mental institutions; some were executed. Some Seventh-day Adventists volunteered for the US Army’s Operation Whitecoat, participating in research to help others. The Church preferred to call them “conscientious participants”, because they were willing to risk their lives as test subjects in potentially life-threatening research. Over 2,200 Seventh-day Adventists volunteered in experiments involving various infectious agents during the 1950s through the 1970s in Fort Detrick, MD. “ A schism arose during and after World War I between Seventh-day Adventists in Germany who agreed to serve in the military if conscripted and those who rejected all participation in warfare — the latter group eventually forming a separate church (the Seventh Day Adventist Reform Movement).Jehovah’s Witnesses and Christadelphians, refuse to participate in the armed services on the grounds that they believe they should be neutral in worldly conflicts. Other objections can stem from a deep sense of responsibility toward humanity as a whole, or from simple denial that any government possesses the moral authority to command warlike behavior from its citizens. After the Roman Empire officially embraced Christianity, the Just War theology was developed in order to reconcile warfare with Christian belief. After Theodosius I made Christianity an official religion of the Empire, this position slowly developed into the official position of the Western Church. In the 11th century, there was a further shift of opinion in the Latin-Christian tradition with the crusades, strengthening the idea and acceptability of Holy War. Objectors became a minority. Some theologians see the Constantinian shift and the loss of Christian pacifism as a great failing of the Church. Ben Salmon was a Catholic conscientious objector during World War I and outspoken critic of Just War theology. The Catholic Church denounced him and The New York Times described him as a “spy suspect.” The US military (in which he was never inducted) charged him with desertion and spreading propaganda, then sentenced him to death (this was later revised to 25 years hard labour. Some conscientious objectors are unwilling to serve the military in any capacity, while others accept noncombatant roles. While conscientious objection is usually the refusal to collaborate with military organizations, as a combatant in war or in any supportive role, some advocate compromising forms of conscientious objection. One compromising form is to accept non-combatant roles during conscription or military service. Alternatives to military or civilian service include serving an imprisonment or other punishment for refusing conscription, falsely claiming unfitness for duty by feigning an allergy or a heart condition, delaying conscription until the maximum drafting age, or seeking refuge in a country which does not extradite those wanted for military conscription. Avoiding military service is sometimes labeled draft dodging, particularly if the goal is accomplished through dishonesty or evasive maneuvers. However, many people who support conscription will distinguish between “bona fide” conscientious objection and draft dodging, which they view as evasion of military service without a valid excuse. Despite the fact that international institutions such as the United Nations (UN) and the Council of Europe (CoE) regard and promote conscientious objection as a human right, as of 2004, it still does not have a legal basis in most countries. Among the roughly one-hundred countries that have conscription, only thirty countries have some legal provisions, 25 of them in Europe. In Europe, most countries with conscription more or less fulfill international guidelines on conscientious objection legislation (except for Greece, Cyprus, Turkey, Finland and Russia) today. In many countries outside Europe, especially in armed conflict areas (e.g. Democratic Republic of the Congo), conscientious objection is punished severely and conscientious objectors used to be seen as deserters, traitors, cowards, slackers or simply un-patriotic,, however their image has changed drastically in the Western world in past decades. Especially in Europe, where objectors usually serve an alternative civilian service, they are regarded as making an equally important contribution to society as conscripts. Parallel to that, the number of objectors has risen significantly, too e.g., in Germany, where conscientious objection is a constitutional right, from less than one percent of all eligible men to more than fifty percent in 2003. In 1991, The Peace Abbey established the National Registry for Conscientious Objection where people can publicly state their refusal to participate in armed conflict. Eno also pursues multimedia ventures in parallel to his music career, including art installations, a regular column on society and innovation in Prospect magazine, and “Oblique Strategies” (written with Peter Schmidt), a deck of cards in which cryptic remarks or random insights are intended to resolve dilemmas. Eno continues to collaborate with other musicians, produce records, release his own music, and write. In 1998, Oldfield produced the third Tubular Bells album which premiered at Horse Guards Parade, London), and drew from Balearic Dance Music and was inspired by themes from Tubular Bells. In 1999 Oldfield released two albums “Guitars”, which used guitars as the source for all the sounds on the album, including percussion and “The Millennium Bell”, which consisted of pastiches of a number of styles of music representing various historical periods and was performed live in Berlin in 1999–2000. Oldfield began the MusicVR project, combining his music with a virtual reality-based computer game. His first work on this project is Tr3s Lunas launched in 2002, a virtual game where the player can interact with a world full of new music. 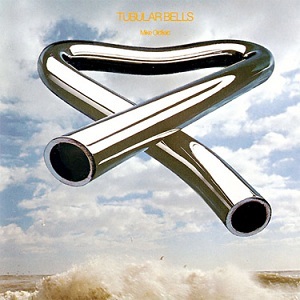 To celebrate the 30th Anniversary of Tubular Bells, In 2003, Oldfield released Tubular Bells 2003, a re-recording of the original Tubular Bells, on CD, and DVD-Audio, which fixed many “imperfections” in the original caused by the limited recording technologies of the early 1970s, for which the original voice of the ‘Master of Ceremonies’ (the late Viv Stanshall) was replaced by the voice of John Cleese. In 2004 Oldfield launched his next virtual reality project, Maestro, which contains music from the Tubular Bells 2003 album and also some new chillout melodies. The games have since been made available free of charge on Tubular.net. In 2005 a double album, Light + Shade, was released containing music of contrasting moods, disc one is relaxed (Light) while disc two is more edgy and moody (Shade). In2006 and 2007 Oldfield headlined the pan-European Night of the Proms tour. American author Lyman “L.” Frank Baum was born May 15, in 1856 in Chittenango, New York, in 1856, and grew up on his parents’ expansive estate, Rose Lawn. As a young child, he was tutored at home with his siblings, but at the age of 12, he was sent to study at Peekskill Military Academy, and after two utterly miserable years he was allowed to return home. Baum started writing at an early age and His father bought him a cheap printing press; which, with the help of his younger brother Henry (Harry) Clay Baum, he used to produce The Rose Lawn Home Journal. The brothers published several issues of the journal, Baum also established a second amateur journal, The Stamp Collector, he also printed “Baum’s Complete Stamp Dealers” Directory, and started a stamp dealership with friends. At the age of 20, Baum started breeding fancy poultry, and specialized in raising a particular breed of fowl, the Hamburg. In March 1880 he established a monthly trade journal, The Poultry Record, and in 1886, he published his first book: The Book of the Hamburgs: A Brief Treatise upon the Mating, Rearing, and Management of the Different Varieties of Hamburgs. Baum, then became interested in theatre, performing under the stage names of Louis F. Baum and George Brooks. In 1880, his father built him a theatre in Richburg, New York, and he set about writing plays and gathering a company to act in them. The Maid of Arran, a melodrama with songs based on William Black’s novel A Princess of Thule, proved a modest success. Baum not only wrote the play but composed songs for it and also acted in the leading role. His aunt was also the founder of Syracuse Oratory School, and Baum advertised his services in her catalog to teach theatre, including stage business, playwriting, directing, and translating, revision, and operettas. On November 9, 1882, Baum married Maud Gage, and in July 1888 they moved to Aberdeen, Dakota, where he opened a store, “Baum’s Bazaar” and later editing a local newspaper, The Aberdeen Saturday Pioneer, where he wrote a column, “Our Landlady”. Baum’s description of Kansas in The Wonderful Wizard of Oz is based on his experiences in drought-ridden South Dakota. After Baum’s newspaper failed in 1891, he, Maud and their four sons moved to Humboldt Park, Chicago, where Baum took a job reporting for the Evening Post. In 1897 he wrote and published Mother Goose in Prose, a collection of Mother Goose rhymes written as prose stories, which was illustrated by Maxfield Parrish. Then In 1899 Baum partnered with illustrator W. W. Denslow, to publish Father Goose, which was a collection of nonsense poetry, which became the best-selling children’s book of the year.In 1900, Baum and Denslow published The Wonderful Wizard of Oz to much critical acclaim and financial success, and this became the best-selling children’s book for two years after its initial publication. 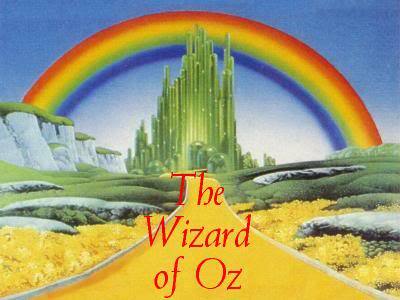 Baum went on to write thirteen more novels based on the places and people of the Land of Oz. Two years after Wizard’s publication, Baum and Denslow teamed up with composer Paul Tietjens and director Julian Mitchell to produce a musical stage version of the book under Fred R. Hamlin, which, opened in Chicago in 1902, then ran on Broadway for 293 stage nights from January to October 1903. It returned to Broadway in 1904 and successfully toured the United States with much of the same cast, until 1911, it differed considerably from the book, and was aimed primarily at adults. Baum then wrote a sequel, The Woggle-Bug,however the Scarecrow and Tin Woodman were omitted from this adaptation. He later worked on a musical version of Ozma of Oz, which eventually became The Tik-Tok Man Of Oz and also began a stage version of The Patchwork Girl of Oz. Baum also wrote several plays for various celebrations. and In 1914, after moving to Hollywood, Baum started his own film production company, The Oz Film Manufacturing Company. Many times during the development of the Oz series, Baum declared that he had written his last Oz book and devoted himself to other works of fantasy fiction based in other magical lands, However, persuaded by popular demand, letters from children, and the failure of his new books, he returned to the series each time. Sadly though on May 6th 1919 L Frank Baum passed away after having a stroke, nine days short of his 63rd birthday. He was buried in Glendale’s Forest Lawn Memorial Park Cemetery. His final Oz book, Glinda of Oz, was published on July 10, 1920, a year after his death. The Oz series was continued long after his death by other authors, notably Ruth Plumly Thompson, who wrote an additional nineteen Oz books. His other works also remained popular after his death, with The Master Key appearing on St. Nicholas Magazine’s survey of readers’ favorite books well into the 1920s. His novels also predicted such century-later commonplaces as television, laptop computers (The Master Key), wireless telephones (Tik-Tok of Oz), women in high risk, action-heavy occupations (Mary Louise in the Country), and the ubiquity of advertising on clothing (Aunt Jane’s Nieces at Work), and the Wonderful Wizard of Oz series of books remains popular to this day. Visionary toy manufacturer English inventor, businessman and politician Frank Hornby was born 15 May 1863. although he had no formal engineering training, he was responsible for the invention and production of three of the most popular lines of toys based on engineering principles in the twentieth cntury: Meccano, Hornby Model Railways and Dinky Toys. He also founded the British toy company Meccano Ltd in 1908.At the age of sixteen, Hornby left school and started working as a cashier in his father’s business. On 15 January 1887 he married a schoolteacher Clara Walker Godefroy, the daughter of acustoms officer and they had two sons, Roland and Douglas, and a daughter, Patricia. When his father died in 1899, his father’s business was closed and Hornby became abook keeper in Liverpool.After experimenting with new ideas in his home workshop, Hornby began making toys for his sons in 1899 with pieces he cut from sheet metal. He built models of bridges, trucks and cranes, although the pieces they were made from were not interchangeable. The breakthrough came when Hornby realised that if he could make separate, inter changeable parts that could be bolted together, any model could be built from the same components. The key inventive step was the realisation that regular perforations in the structural pieces could be used, not only to join them together with nuts and bolts, but be used as a bearing for – axles and shafts. This made the construction of complex mechanisms relatively simple. He started making metal strips by hand from copper sheets. The strips were half an inch wide with holes for bolts spaced at half inch intervals these became known as Meccano.